The Gentleman Crafter: Scrapbook N' More This Saturday! Yes, it's been awhile! I hope to be able to catch up with my blogging very soon! Playing catch up for almost three weeks has been a challenge, but I'm getting 'er done One Step At A Time! So check back here soon. 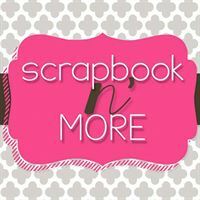 If you are around New Braunsfels, Texas this Saturday, please come join me at Scrapbook N' More for a couple of really cool classes. Scrapbook N' More is just one of those stores you have to see to believe. It is chocked full of the best and latest in all things mixed media and paper crafting! Truly, and amazing store! You have been SUCH a busy bunny, no wonder you didn't get a chance to blog! And your home state is really catching it with the weather! Hope that you are safe and sound!